Red Wine and Chocolate Weekend! 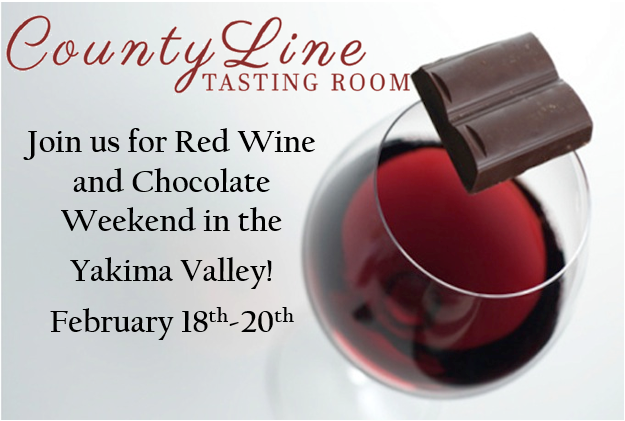 Wine club members and pass holders will receive complimentary tastings and decadent chocolates. We will have small plates available to purchase crafted by Executive Chef Kyle Hunter. To learn more and purchase passes visit the link below! We source grapes from among the top vineyards in Washington State. Each vineyard is carefully selected to meet our quality standards and stylistic goals. We collaborate with dedicated, passionate growers to yield some of the highest quality grapes in the world. Our wines are hand-crafted in limited quantities, honoring traditional winemaking techniques; our grapes are hand-picked at optimal maturity. Each wine is nurtured from vineyard to bottle by Robert O. Smasne, producing wines of exceptional character, varietal expression, refined elegance, and a distinct sense of place. Since his first vintage in 1996, Robert O. Smasne has devoted his career to crafting wine from the region his family has called home for over 100 years. Today, in addition to making the wine for his own Smasne Cellars labels, Robert is a sought-after wine-making consultant to many of Washington’s wineries.